Both the endangered black rhino and the massive white rhino are brown. They are different in size and have some other particularities. White rhinos weigh more than 4,000 lbs (2 tons), making them the second biggest animal in Africa after the elephant and placing them on everyone's Big Five safari bucket-list. 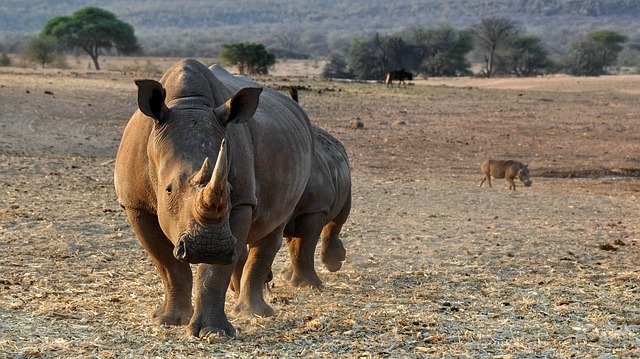 With sharp horns that can grow up to 59 in (150 cm), rhinos are war machines. Add the fact that they're shortsighted, have a rather small brain and a very bad temper, it's easy to see why they deserve a place on our list. They attack when they feel threatened, also when irritated. Despite their size, they are actually excellent runners, reaching speeds of up to 40 mph (64 km/h). Don't mess with them because they'll definitely outrun you! Chances of being attacked by a rhino in the wild are extremely low and for disheartening reasons. The rhino's only natural predator is the man. Unfortunately, the black rhino population dropped by 97.6% since 1960. 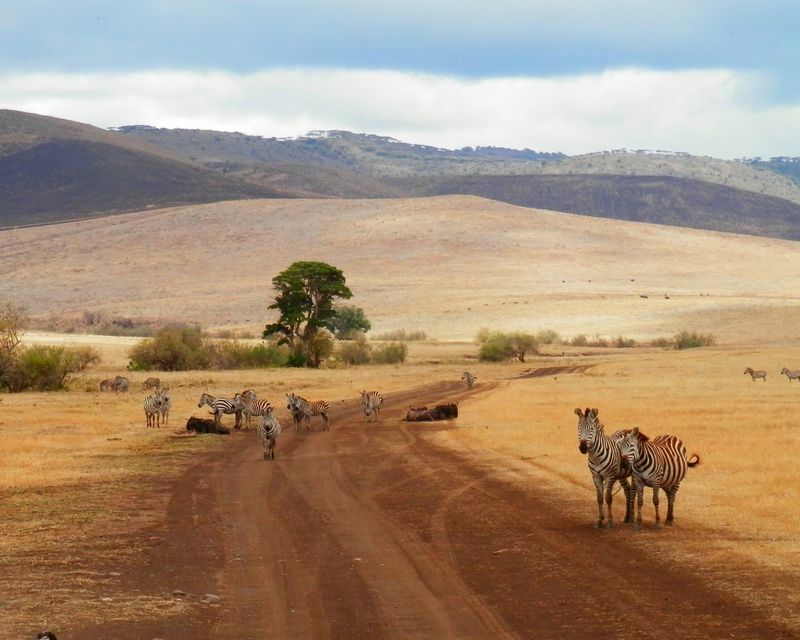 While on an African savanna safari, it's easy to get distracted by the sight of large, impressive animals. But you might want to watch your step. Around 20,000 people die from snake bites each year in Africa. The puff adder is a master of camouflage, its color patterns change depending on habitat and location. You too might run into a puff adder lying completely still on the ground waiting for its next meal – a juicy rodent. It can strike in 0.25 seconds. One bite is enough to kill a grown man. Its venom contains cytotoxin, which devours the tissues. In the best case scenario, after giving puff adder bite first aid, the infected area is amputated. That is if the area can be amputated. 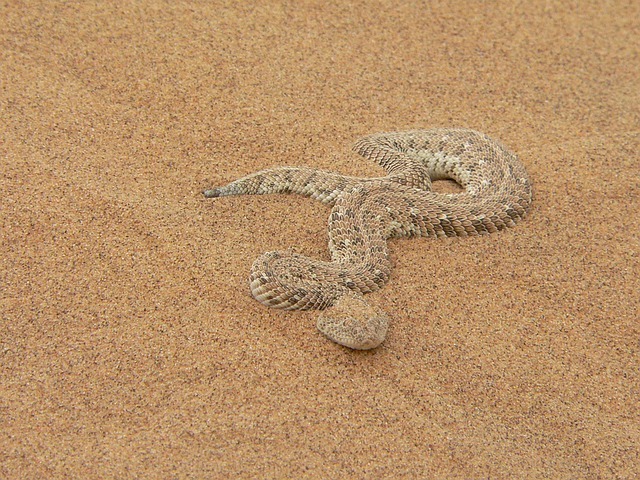 The puff adder gets its name from its defensive technique. When it feels threatened, it coils into an S-shape position and hisses loudly. It is a warning signal you should not ignore. The puff adder kills nearly 32,000 people each year. 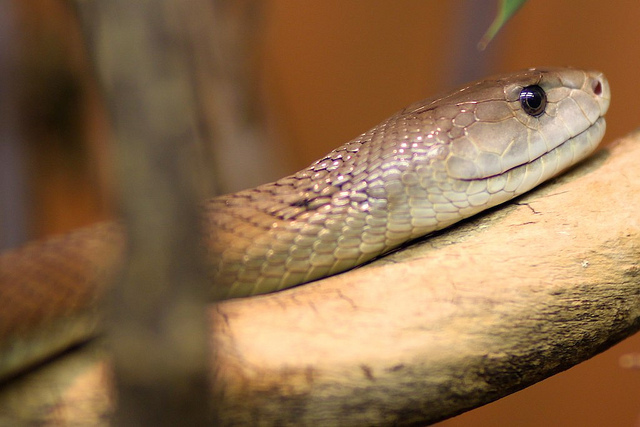 It is responsible for the majority of snake bites in Africa, more than the black mamba, and is recognized as the most dangerous snake on the continent. In Africa, danger lurks where you least expect it. Size does not matter at all. You can survive a violent lion attack then get bitten by a mosquito and die. According to the World Health Organization (WHO), malaria kills around half a million people each year, 90% of them in Africa. 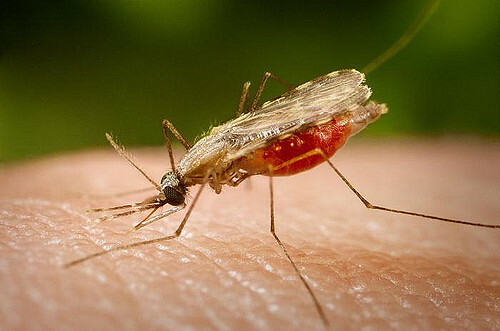 Female Anopheles mosquitoes carry the parasite responsible for malaria, one of the world's deadliest diseases. They pick it up from an infected human and pass it on to the next person through their saliva. The parasite travels to the liver, where it multiplies, then continues to move to the blood stream and red cells. Pregnant women and children are most vulnerable, with 70% of deaths occurring in children under five. Luckily, prevention and control are beginning to show results. Since 2010, mortality rates have decreased by 29% within all age groups. People traveling to Africa already know they have to protect themselves against malaria. But there are other mosquito-borne diseases they must protect themselves from. African mosquitoes can carry yellow fever, dengue fever, West Nile virus, Chikungunya and Zika virus. There is a vaccine for yellow fever, but no vaccine for the others yet. 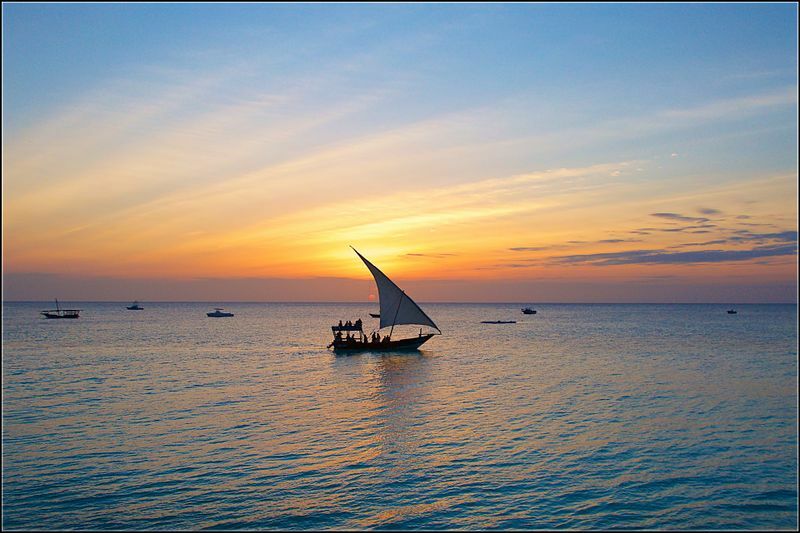 Most people who embark on an African safari do it for the Big Five, the highlight of the tour. 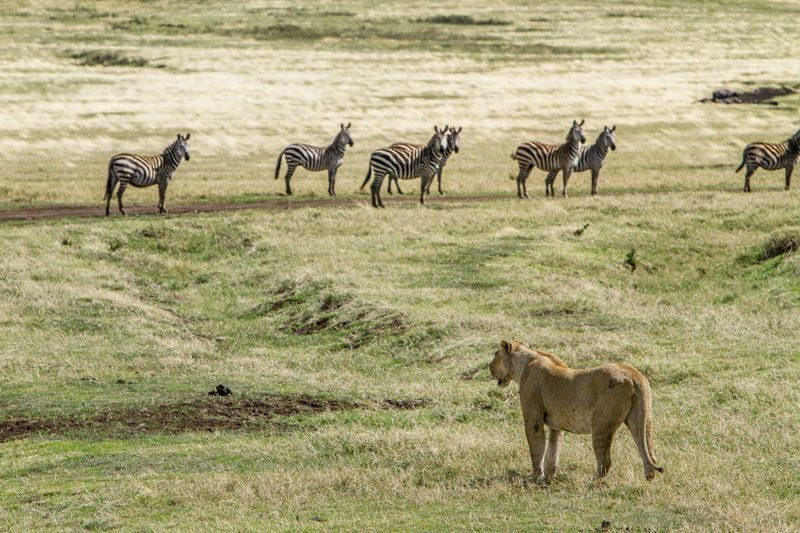 Chances are you'll encounter more lions on a wildlife safari than any other animal. 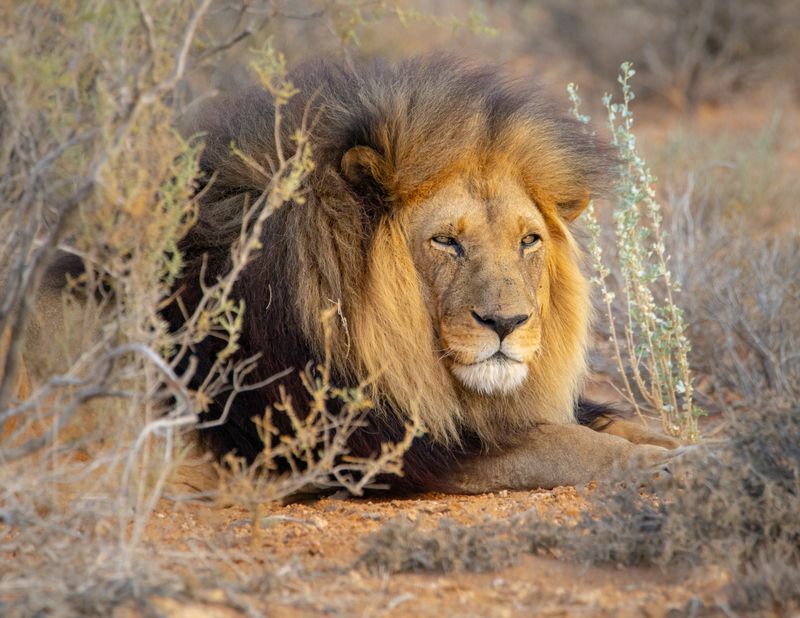 Weighing an average 500 lbs (200 kg), an elite member of the Big Five family, the lion is the only cat living in groups. Lazy during most of the day, an opportunist when it comes to food, it appears too bored and relaxed to pose a threat. Never underestimate a cat! 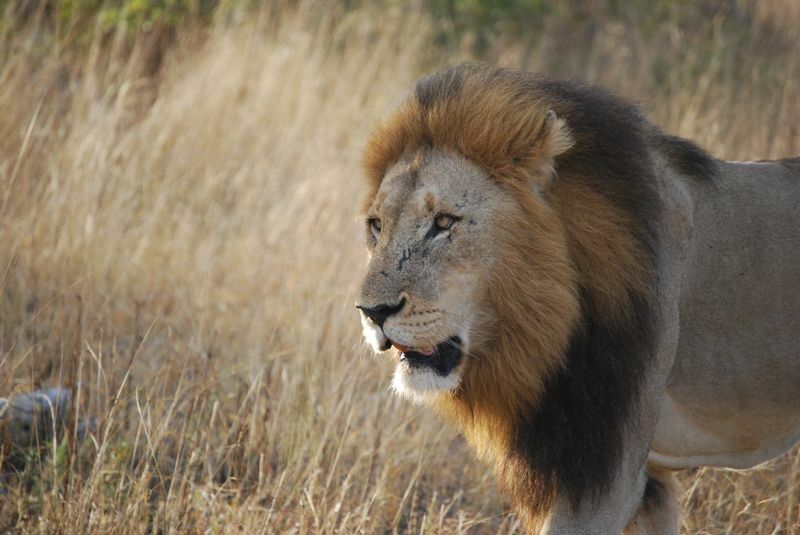 In Tanzania and Mozambique, lions kill as many as a few hundred people each year. They even attack elephants. 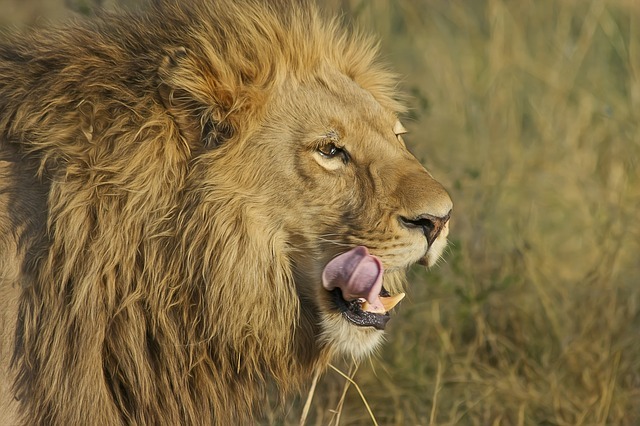 Lions don't prefer humans, although they do count as prey. But once they get the taste, they'll set off on a killing spree. There have been a considerable number of ferocious lion attacks throughout history, the most notorious being the Tsavo Man-Eaters Case. Over a period of nine months in 1898, around 35 railway workers were killed by a pair of male lions that dragged their victims out of their tents at night. The reasons behind this massacre remain a mystery. Big, fast, aggressive and lethal, Africa's biggest snake can grow up to 14 feet (4.5 meters) in length. It is also the world's fastest land snake, reaching speeds of 12 mph (20 km/h) when attacked. Like most snakes, the black mamba is shy and will avoid any confrontation. Instead of running after its meal, it prefers to just wait for it. It's not black but olive-brown. The name comes from the blue-black color of the inside of its mouth, which it displays when threatened. Black mamba venom attacks the nervous system, paralyzing the victim. The venom released from one bite is enough to kill a dozen men within the hour, and they can bite up to a dozen times during a single attack. It gets worse – there's only enough anti-venom in Africa to treat around 10 percent of snake bites. Without anti-venom, there's zero chance of survival. Angry and hostile towards everyone and everything, they might prefer to be called by their nicknames – Black Death and Widow Maker. The African buffalo, also known as the Cape buffalo, is the most dangerous member of Africa's Big Five family. They are reported to kill more humans than animals. Even lions avoid these beasts, which become even more aggressive when wounded and separated from their herd. They are unpredictable and will not hesitate to use their razor-sharp horns if threatened. They can weigh over 1,540 lbs (700 kg) and reach 8.8 ft (2.7 m) in length. As if their size wasn't enough, they like to stay together in intimidating herds and are very protective of their members, especially their young. 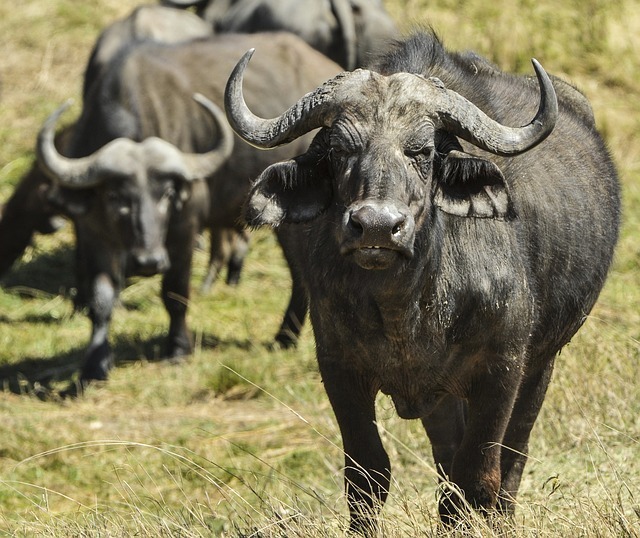 The buffalo's preferred prey is big game hunters. It has killed more trophy hunters than any other animal in Africa. Patience is a crocodile's key strength. 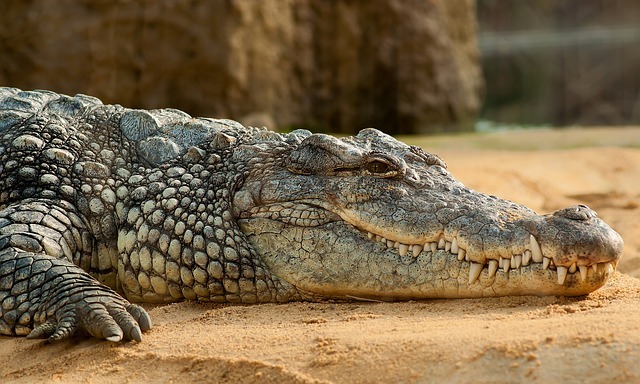 The Nile crocodile can wait for as long as one week for the perfect opportunity to strike. And it's a great strategist too. It can stay completely still, then with an incredible burst of speed attacks by ambush. If the bite doesn't kill, the next move is to pull the victim into the water to drown. It doesn't just murder, it devours the whole body leaving almost no trace of evidence! Measuring up to 16 feet long (5 meters), weighing up to 900 lbs (400 kg), and with the strongest bite in Africa, they're a force to be reckoned with, a threat to almost every animal in Africa. Why should humans be excluded? The Nile crocodile is the world's second largest reptile after the saltwater crocodile and it's just as violent. The number of attacks on humans range between a few hundred to a few thousand each year, out of which half are fatal. It’s important to note that crocodiles don't specifically target humans. They're opportunists and people happen to live dangerously close to their natural habitat. This is why most crocodile attacks are on fishermen and locals washing clothes near riverbanks. Lying carelessly in the warm water, slow, bored and ignorant of the surroundings, hippos don't seem like a serious threat. Looks can be deceiving. They're a delight to be observed from a distance but make sure to avoid close encounters by all means. The hippo, the world's third largest land animal, has earned itself a reputation as Africa's most dangerous animal. Numbers are hard to come by but statistics tell us hippos kill more people than buffaloes, lions, rhinos, leopards and elephants combined. It can kill crocodiles, which is pretty impressive for a vegetarian. What is it that makes them so dangerous? To begin with, just look at their massive jaws displaying 20 in (50 cm) canines, weapons forged for war. 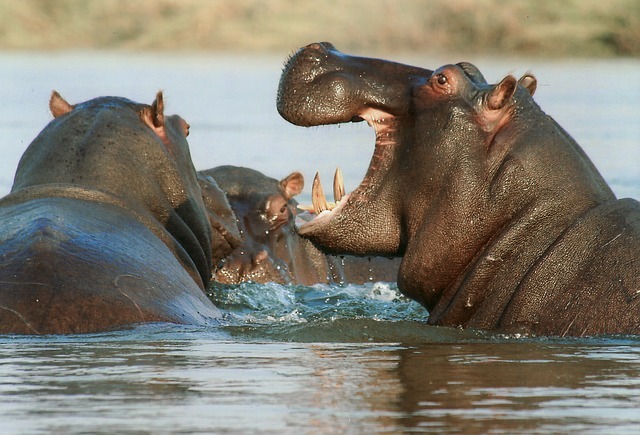 Secondly, hippos are bipolar, thus very unpredictable. They can go from docile to extremely aggressive in a matter of seconds. They're highly protective of their territory and females and will let nothing come in their way, including humans. Then, they have bad eyesight. Not to mention male hippos in East Africa can weigh up to 3,300 lbs (1,500 kg) and can reach speeds of up to 20 mph (32 km/h). That's right, these water-loving creatures can and will outrun you. So don't give them any reason to. By now you are probably wondering how will you ever survive an African big five safari with so many threats at every step? Simple. Keep your distance, watch your step and avoid any confrontation. Remember, this is their home. We are merely visitors and we have to respect their habitat accordingly. 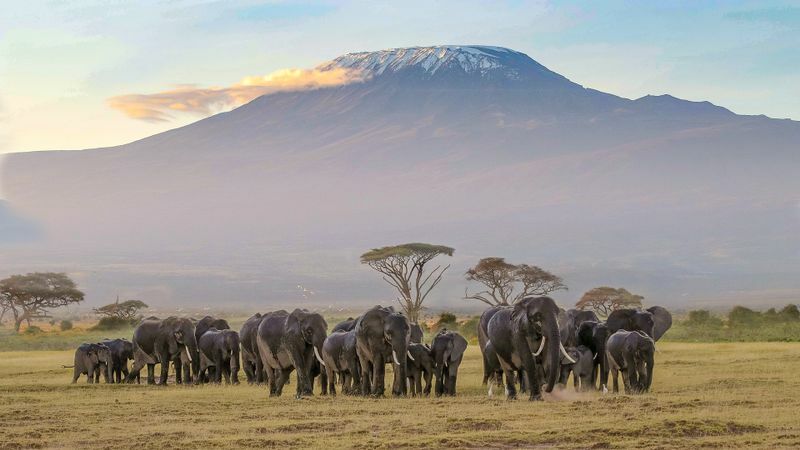 Would you like to observe Africa's majestic animals with your own eyes? 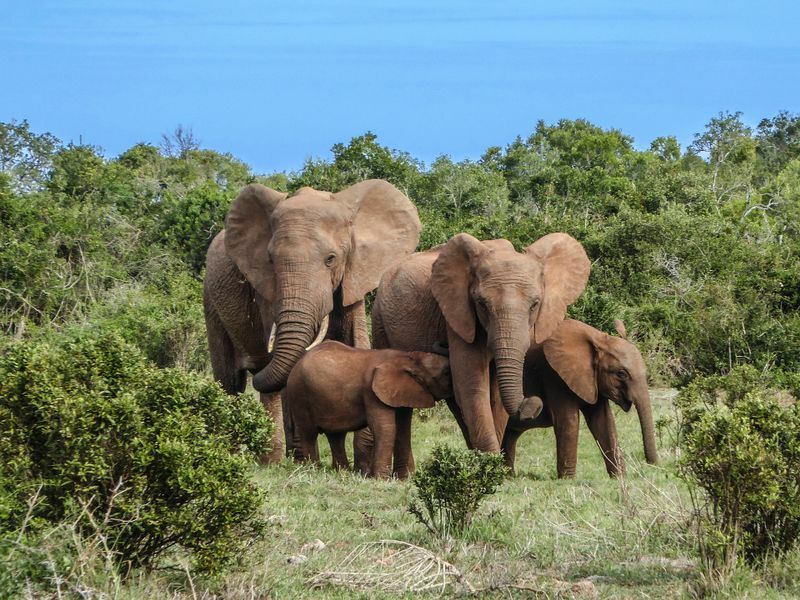 There are plenty of wildlife safaris to choose from on BookAllSafaris.com that will get you much closer to these animals!